Special Educaton – Spedtacular Me! I have tried to explain what it is like to work with people with autism many times. I have tried to explain the beauty and the struggle, the different way that they see the world and the ways that it makes me a better person to have them in my life. Here was my post for Autism Awareness Month Last Year. I have tried to make people love them and care for them like I have and every time I seem to come up short. I do not have autism and how can I expect to explain what the world is like for them when I don’t truly know. Explaining differences in learning styles to children is something that can be done really well or really poorly, children are fairly flexible and welcoming if they are just sat down and explained things if they get the chance to live life with someone that is different then them they will come to understand the differences in people aren’t bad or scary, but can be beautiful and help to teach us so many new things about the world. But often times as adults we are scared to talk about the differences, we have grown or been taught to fear the things that make us different, to look at the kids that learn differently then our own and to put them in a box as “abnormal” we pick out differences to make us more comfortable, to find our place. But that leaves us to afraid to talk to our children about the beauty in the world, the beauty in uniqueness and how to be a friend through it all. In comes Amazing Things Happen, a beautiful video made to show kid things from a kid perspective to help understand students with Autism. I would love to show this to inclusion classes at the beginning of the year and have a discussion about all of our differences. It shows the ways to be a friend and the way that you can grow together! People spend a lot of time talking about my “special heart “when they here what I do for a living. And then they double that when they here that I ABSOLUTELY LOVE what I do and who I do it with. I spend a lot of time annoyed with the people who just don’t get it! They don’t see the beauty, the love, the pure joy that comes with spending my life with children who have disabilities. Sometimes it feels like they are living in a black and white world and just don’t see the color that is all around them because they spend their lives on the outside of my little world with these students. How could you not love them, and want to spend your time teaching and learning from them. But then I read the book “The Lucky Few” by Heather Avis and it was like I was staring into the face of someone who just GOT IT! She was saying all the things I feel and she was preaching it to the world. She was shouting the worth of her children and all children that are born with down syndrome or other special needs for the world to hear. And the world needs to here it. That doesn’t mean either of us were born “getting it” at one point or another the idea of spending our lives with children with a few extra chromosomes terrified us; Heather talks about how much life with her children, “wasn’t her plan” she just wanted a healthy baby as all new parents do. But that was not that plan God had for her and once she said that first yes to adopting her daughter she was diving head first into a world that holds so much beauty. She looks at her relationship with God in new light around every corner of this book. She sees his hand in the darkness in the loss of the ability to have children and the beauty in the gift that he gave her through the children he provided. Because she just had to remember he’s got this. He knew she would be one of the people that “gets it” she would take the lives of these beautiful children he made, and yes I totally believe he made them with that sneaky little extra chromosome on purpose, and she would show the world just that. That they were created, that they were no ones accident. With each of her yes’s she learned a little more about herself and about the kind of heart that God has for her and for her children. She continually said yes to the hardest things he was asking of her and gained a beautiful life from those yes’s. She learned something new with each of her children. I think one of the most beautiful things I learned from Heather was from her struggle to bond with her middle child Truly. If you know anything about this family you know that sassy miss True is the only Avis child that does not have down syndrome. She has the typical number of chromosomes but more than makes up for that with her amount of sass. Heather shares the struggle she had to bond with this little girl with all the will power and beauty. To most people they would say oh a “normal” baby that would be the easy one to love and fall in love with. I love that she shares the struggles here just as much if not more than with her two children with down syndrome. In this light you can see how much you have to learn from all different types of children, they all open your heart and pour something different in. Heather opens her heart to God and repeats over and over, “Yes, you got this. . . Yes you got this!” And because of that she has walked into the life made for her. I hope that even when I am staring into the darkness, facing what seems like an endless amount of NO’S, I can continue to repeat, “Yes, you got this!” And walk forward into the space that is given to me! Heather Avis’ book comes out on World Down Syndrome Day, March 21st 2017. (How perfectly fitting right?) It is available for pre-order NOW! Go, buy it! Welcome yourself into the BEST club! How #Lucie is Light changed my life. So up untill 2 years ago I had never even heard of the band Gungor, and then I started going to Bloom, a church that they founded, and to be honest I was quite proud of the fact that I had never heard of them before, I was proud to be the person going to church for church and not for the off-chance to meet a celebrity. Ok I have to be honest it was pretty cool the nights that they would lead worship, we would get to sing their songs as a congregation and it was like a min-concert. I fell in love with Lisa Gungors voice when they would sing I would find myself hoping that she would sing more and more. But aside from that I never really jumped on the Gungor band wagon. I never bought any of their music, I never listened to them outside of church and when they held a concert I didn’t feel the need to go. But they were cool enough. And then they had Lucie. . . their second daughter who happened to be born with down syndrome and the way that they handled that birth and transition was one of the most loving and God-Like things that I have ever witnessed. They made it clear that they were initially heartbroken, this little girl they held was not the little girl they had imagined for 9 months and probably longer, your dreams and visions for their life have to be altered (You can read more about that here http://www.gungormusic.com/blog/2014/10/lucie-is-ligh) But they also discovered something in her, something that is so pure and wonderful that radiates out of their every picture of her and story about her, and mostly from their new song. Light. 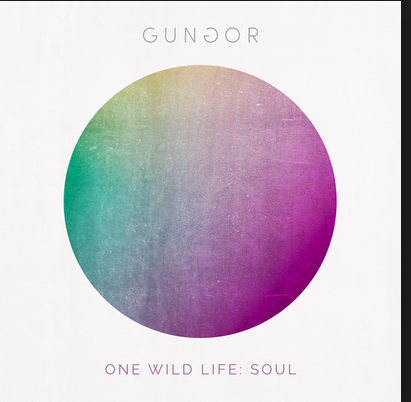 Light is on the Gungor’s newest album, One Wild Life, which is also one of my favorite and most played albums now, I sincerely hope everyone will go out and listen to it now it is beautifully done. But Light is gorgeous. . They found a perfection in the imperfection, they were humbled and shocked, and in love with this little girl, who by all standards was DIFFERENT! Thought I have never officially met the Gungor’s I have seen them from across the basement of Bloom, I have felt joy and sadness at their instagram pictures, I have heard stories from mutual friends, but I love these people I feel a sense of togetherness with the Gungor’s, they found their light in a beautiful little girl named Lucie who happened to be born in a way that will make the world forever stare at her, and call her different. And I find my life over and over again in the students that God has placed in front of me, the students that have all sorts of differences, the students that are constantly fought against and put in the “other” category. I see God in these students, I see the ways that he can make all of us unique and the way that all of these challenges bring us closer to him, and closer as humans. This is the way that God has made the human condition and I wish that more people could see the beauty in our differences the beauty in the little girl that has to have an adult come with her to third grade, the beauty in the little girl who has a hard time keeping her hands to herself, or the little boy who can’t see and has to use a cane to get around, beauty in the boy who has not learned to control his emotions and throws chairs when he gets upset but so desperately wants to fit in and be accepted by his peers. These are my beauties these are the children that have completely changed their parents lives, the children that were supposed to have a different life, but have shaped and changed the world in so many ways. These students are beautiful, these students are light.